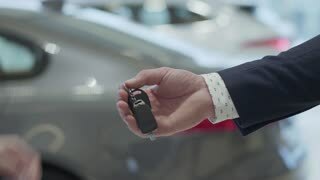 Male hand gives a car keys to famale hand in the car dealership close up. 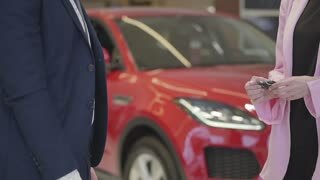 Unrecognized auto seller and a woman who bought a vehicle shake hands. 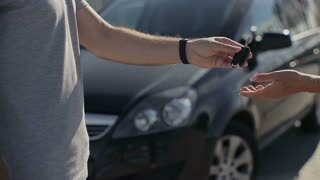 Unrecognized seller sends the keys to the new auto to the new owner. 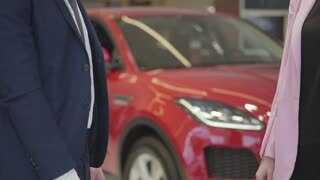 A man in a business suit entered into an agreement to buy a new vehicle. 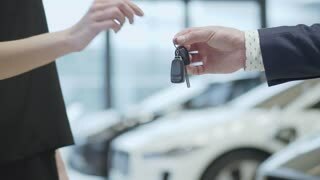 Car showroom.